Prior to the onslaught of superhero movies and television shows of recent years, NBC's Heroes was a network drama chronicling the life of people with super powers. However, the show, created by Tim Kring, decreased in quality over the course of its four seasons, causing many fans to stop watching. Despite the drop in popularity of Heroes, Kring and NBC are bringing the show back in the form of the miniseries, Heroes Reborn. Since the miniseries was announced more than year ago, very little about the relaunched show has been released aside from a short promo that aired during this year's Super Bowl. 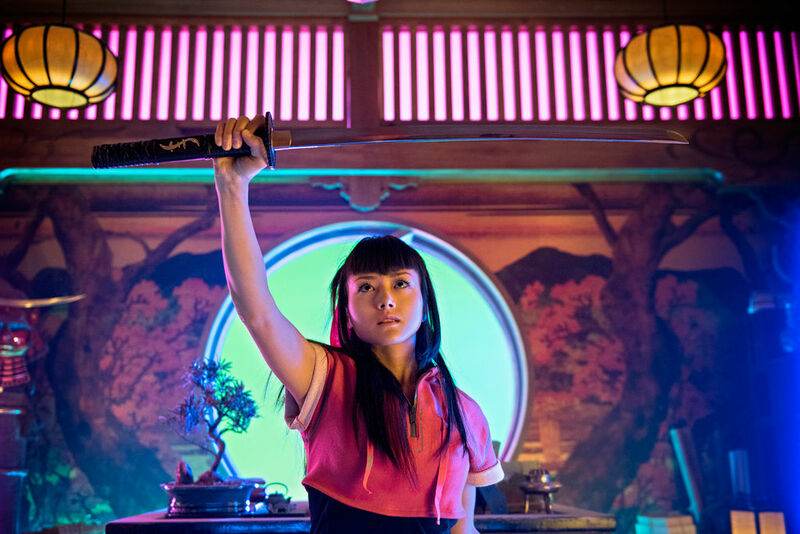 Now, new images of three key characters as well as a synopsis for Heroes Reborn have been revealed. 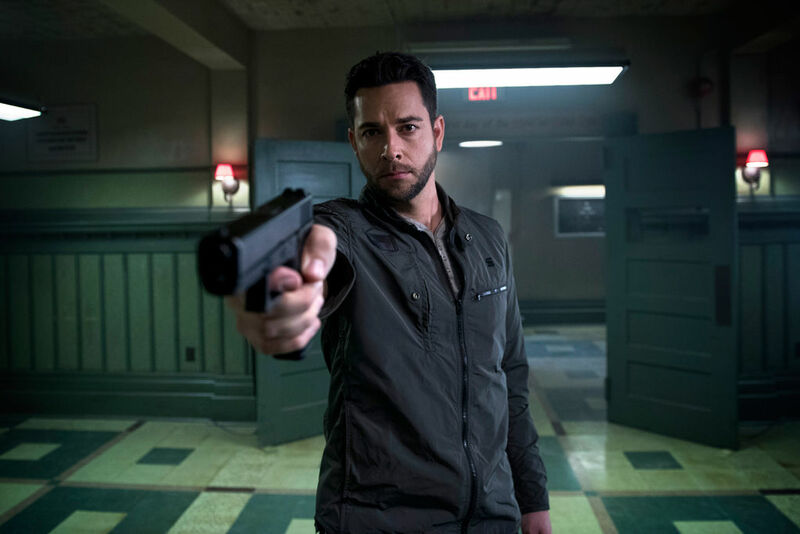 During the network's upfronts presentation, NBC released images featuring Zachary Levi as Luke Collins, Kiki Sukezane as Miko Otomo, and Jack Coleman as Noah Bennet a.k.a. Horned-Rim Glasses. 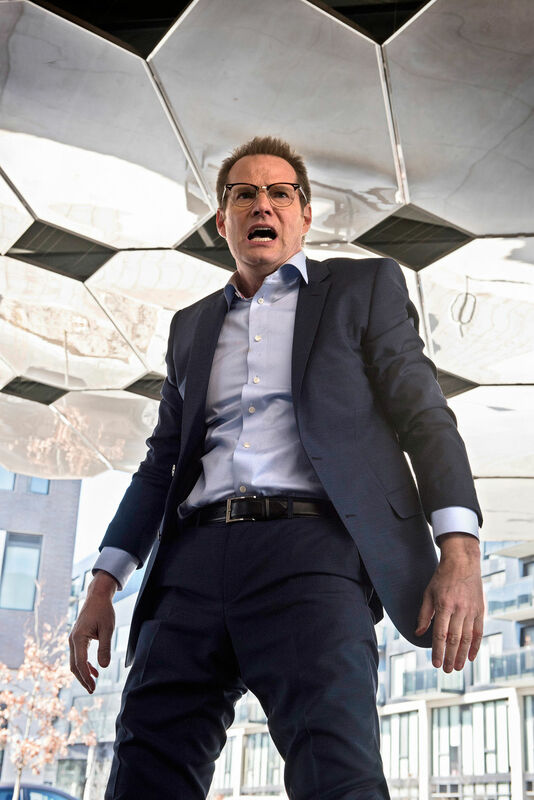 The captions of the images also reveal that the first episode of Heroes Reborn will be titled "Awakening." NBC also announced Heroes Reborn will be airing Thursdays @8pm this fall. The synopsis included in NBC's press release offers some hints as to what fans should expect from the relaunched series, though nothing more about the characters played by Levi and Sukezane or where HRG will be when the series begins. "From original creator Tim Kring, the Supernatural phenomenon begins again with a fresh crop of inspiring heroes who take on the ultimate struggle between those with extraordinary abilities and those with nefarious motives to hunt and harness their powers. Epic adventures await these newly empowered allies as they cross paths with some of the original characters (such as the beloved “HRG” and fan-favorite time-traveler Hiro Nakamura), unlocking the mysterious fate of the universe and their place within it." In addition to Levi and Sukezane, the cast of Heroes Reborn includes newcomers Robbie Kay (Once Upon a Time), Judith Shekoni (Twilight Saga: Breaking Dawn Part II), Ryan Guzman (The Boy Next Door), Danika Yarosh (Shameless), and Eve Harlow (The 100). Returning with Coleman are Masi Oka as Hiro Nakamura and Jimmy Jean-Louis as The Haitian. The synopsis, along with these new images, seem to indicate Heroes Reborn will focus more on the new heroes - and HRG - than returning characters like Hiro Nakumura or The Haitian. While that may disappoint many fans who wish to see the return of their favorite characters, especially Hiro, it shouldn't come as much surprise given that the cast is skewed more toward newcomers than returning stars. Additionally, it's likely that Heroes Reborn is attempting to be a fresh start for the Heroes universe. Following the dwindling popularity of its predecessor, Heroes Reborn will provide a new entry point for returning fans and new viewers alike. Of course, it doesn’t seem the miniseries will completely ignore Heroes since HRG, Hiro, and The Haitian will appear. But, that being said, it seems clear that Heroes Reborn will follow the new characters like Levi’s Luke Collins and Sukezane’s Miko Otomo, with Hiro and The Haitian likely appearing as guest stars. Whether these new characters will be able to live up to those in Heroes remains to be seen, but they will offer a fresh entry into this world beloved by fans. Heroes Reborn will air Thursdays @8pm on NBC this fall.